Are you hoping to spend extra time having fun as a family this summer? If so, you don’t have to travel far to do so. In fact, for Keller residents, you don’t even have to leave town. The City of Keller will be hosting a perfect chance for families to pass down the beloved tradition of fishing, on Saturday, June 17, 2017, with its annual Fishing for Fun event. This event is free, and open to any anglers 16-years-old or younger. Participants just need to bring their own fishing poles and tackle boxes, along with their Texas State Fishing License. 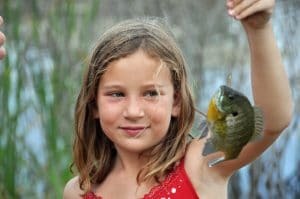 How Can Your Kids Enjoy Angling Fun? The event will take place from 9 to 11:30 a.m. on Saturday, June 17, 2017. The location will be Keller Town Hall, at 1100 Bear Creek Parkway. There will be prizes awarded to the fishers who catch the biggest, smallest, most, and even the first fish! Keep in mind that while the event is open to all kids and teens under 16-years-old, all participants should be accompanied by adults at all times. Participants should also keep in mind that the daily limit of fish per day is five. There are no length requirements on channel catfish, though. This event is being sponsored by Cabela’s, in conjunction with the Keller Parks and Recreation Department and the Texas Parks and Wildlife Department. Prior to the event, the pond will be stocked with freshwater catfish, perfect for both beginning and more advanced anglers. For more information, call the Parks Department at 817.743.4050, or email [email protected]. Preventive dentistry is key to prolonged oral health. You can schedule a preventive checkup and cleaning with Dr. Steven Huffstutler in Ft. Worth, TX, today by calling 817-577-1444.